When you live in places such as the Middle East, it's vital you stay hydrated at all times. Not only should you be drinking water and other healthy drinks, but there are foods you can implement into your diet to contribute to your fluid intake. After all, ensuring you're hydrated can prevent headaches as well as sluggishness. Not only that, but if you fast regularly or you will be during the Holy Month of Ramadan, these foods should be incorporated in your Iftar and Suhoor meals to help your water levels keep topped up throughout daylight hours. To help you stay well nourished, here's six hydrating foods to incorporate in your diet. 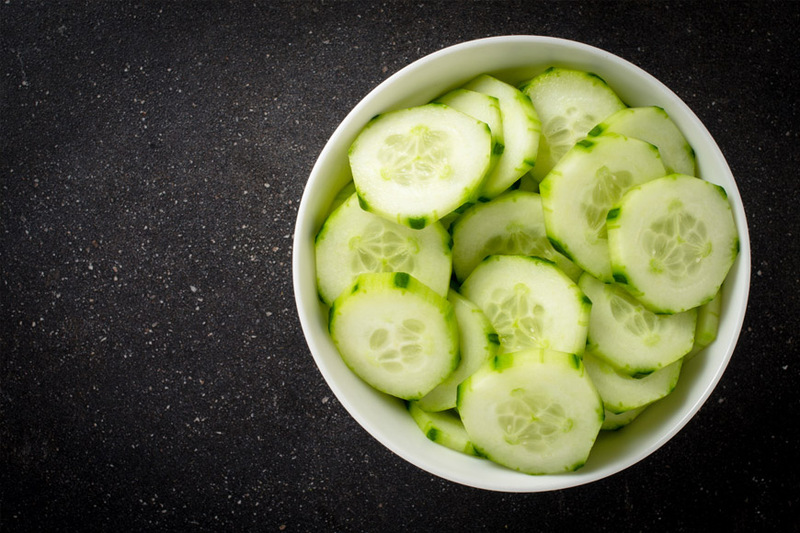 (Pictured above) At 95 percent water content, eating a cup of cucumber slices is nearly as thirst-quenching as a glass of H2O. Don't restrict the beloved cucumber to just salads either - add them to soups, dips, hot meals and even your next sandwich. Perhaps one that you wouldn't think is filled with water, this sweet and nutty veg is actually 88 percent water. Not only that, but a cup of cooked butternut squash holds lots of Vitamin A - which is vital for your eye health - as well as Vitamin C, potassium and manganese. The lovely greens we enjoy using to complete our salads are actually 90 percent water - they're also packed with folate, Vitamin C, fiber and the antioxidant beta carotene, which helps to keep your eyes and skin healthy. An obvious one surely - its name pays homage to the fact it is over 92 percent water, and is a fantastic source of Vitamin C.
All berries are great for hydration, but these juice red strawberries are easily the best out of them all. You can blend them in a smoothie, or mix then with your morning yogurt or cereal. You may not have known this - but baby carrots actually hold more water than their larger versions. Which is superb, as they're so easy to eat and snack on throughout the day. Dip them in hummus or guacamole, or for extra crunch, chop them up and add them to your salad or salsa.